If you’re partial to a Chinese takeaway then you’ll wanna pay attention to this. 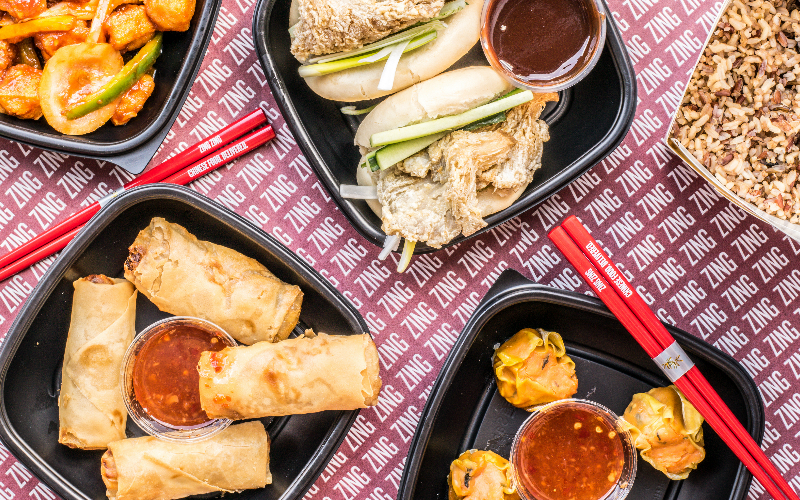 We’ve teamed up with Zing Zing to give away a YEAR’S supply of Chinese takeout. Yep, one of you could bag £30 worth of Zing Zing every month for a whole year. Zing Zing is all about fast, fresh and clean Chinese food (that means no MSG) and they’ve even got a dedicated veggie and vegan menu….no wonder they were named Best Chinese Takeout at the British Chinese Food Awards. And with sites in Highbury & Islington, Kentish Town, Kensal Rise and Elephant & Castle, plus more to be announced, Zing Zing pretty much has the whole of London covered too. Fancy feasting on Zing Zing for the next year? Just drop in your info below to be in with a chance. This competition is now closed but see what other good stuff we’ve got going on here. This competition ends on Mon 23rd April 2018 at noon sharp. The prize is £30 to spend at Zing Zing every month for a year.